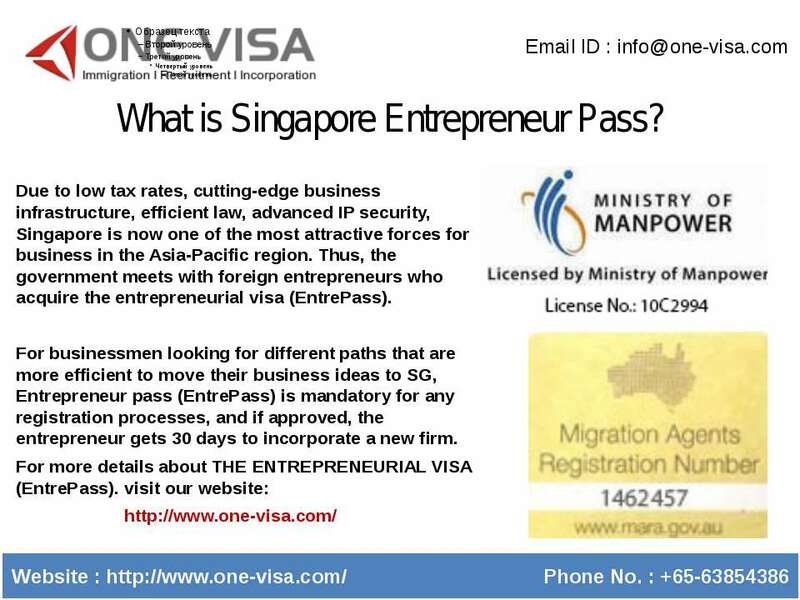 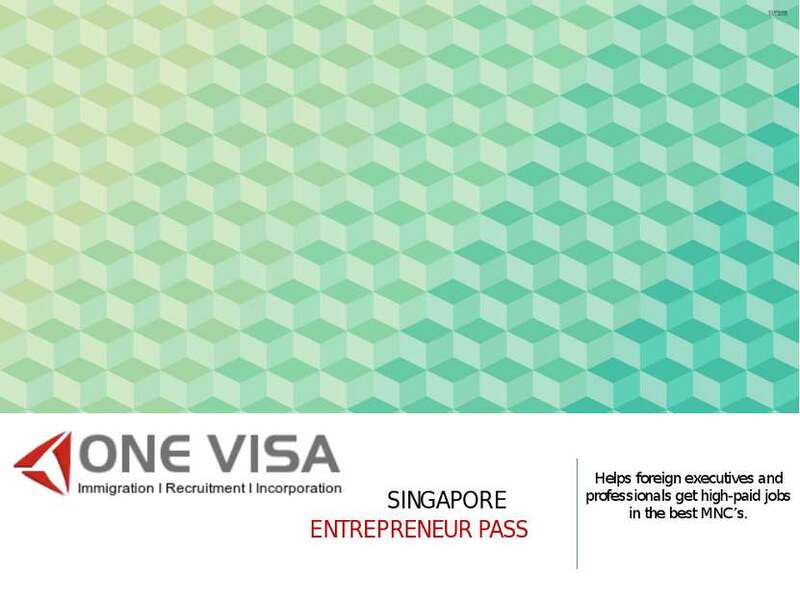 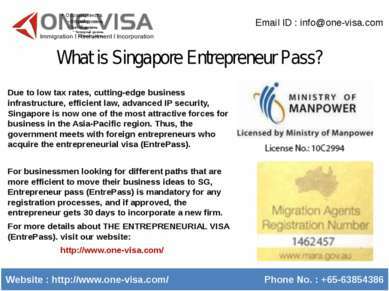 SINGAPORE ENTREPRENEUR PASS Helps foreign executives and professionals get high-paid jobs in the best MNC’s. 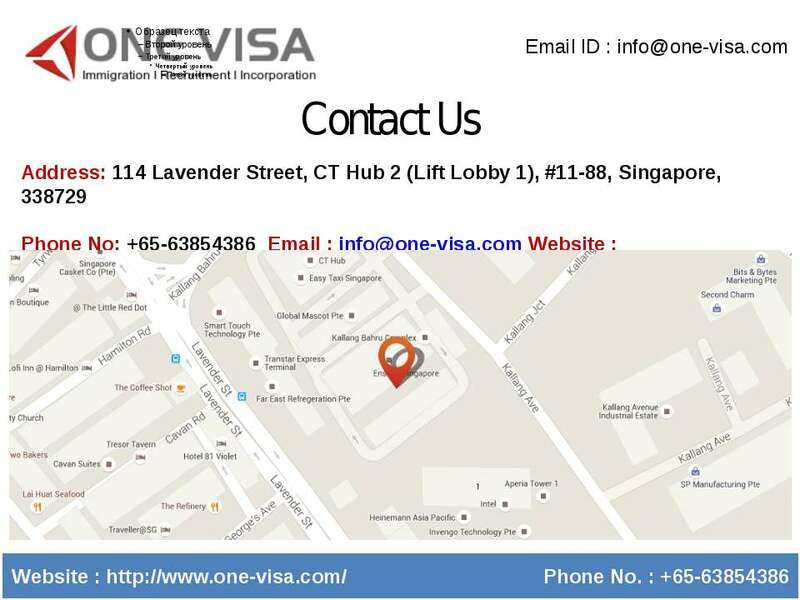 About Us Email ID : info@one-visa.com Website : http://www.one-visa.com/ Phone No. 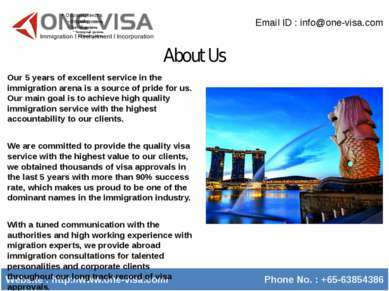 : +65-63854386 Our 5 years of excellent service in the immigration arena is a source of pride for us. Our main goal is to achieve high quality immigration service with the highest accountability to our clients. 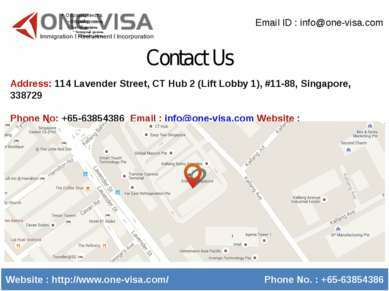 We are committed to provide the quality visa service with the highest value to our clients, we obtained thousands of visa approvals in the last 5 years with more than 90% success rate, which makes us proud to be one of the dominant names in the immigration industry. 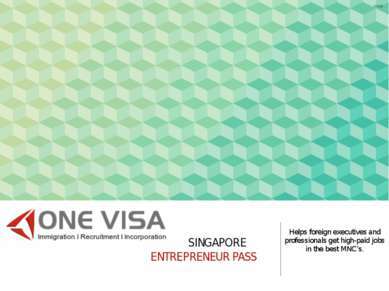 With a tuned communication with the authorities and high working experience with migration experts, we provide abroad immigration consultations for talented personalities and corporate clients throughout our long track record of visa approvals.